Synopsis: Public Safety and Swarthmore Police responded to DuPont parking lot to assist a visitor to campus. Synopsis: Public Safety responded to McCabe Library for an individual refusing to leave the library. The individual was identified and left campus without incident. The information is on file for future reference. 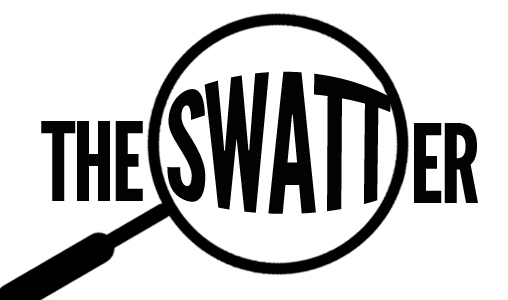 Synopsis: Public Safety responded to the Matchbox Fitness Center for the report of juveniles who had made inappropriate physical contact with a Swarthmore student. The individuals were identified and will be banned from campus. Synopsis: Public Safety received a report from a Swarthmore student who has been receiving unwanted communication from a known individual. The matter was referred to the Title IX Office and is under investigation. Synopsis: Public Safety responded to the report of an ill individual. Emergency services were contacted and arrived, but the individual declined further medical treatment. Synopsis: Information was received in reference to the report of a stolen motor vehicle from a college-owned property. The incident took place in the early morning hours on Wednesday, February 08, 2017. Swarthmore Police were notified, and the vehicle was later recovered at an off-campus location. There is a subject in custody. Synopsis: Public Safety received a report from Media Services that a borrowed camera has not been returned and is now reported as stolen. The value of the item is $3000.00. The matter is under investigation. Synopsis: Public Safety responded to the report of an ill Swarthmore student within Dana Residence Hall. It was determined that the student was intoxicated but did not need further medical assistance. The matter was referred to the Dean’s Office. Synopsis: Public Safety, Swarthmore Police, and an ambulance responded to Danawell Residence Hall for the report of an injured Swarthmore student. The student was transported to the hospital. Synopsis: Public Safety, Swarthmore Police, and an ambulance responded to Willets Residence Hall for the report of an ill Swarthmore student. It was determined that the student was under the influence of marijuana and was transported to the hospital. The matter was referred to the Dean’s Office. Synopsis: Public Safety responded to Worth Residence Hall for a noise complaint. It was determined that the noise was from an authorized party within Mephisto’s Lounge and the noise level was acceptable. Synopsis: Public Safety responded to Mertz Residence Hall for the report of an unknown individual. It was determined that the individual was a Swarthmore student. Synopsis: Public Safety responded to Paces for the report of an unknown individual. The area was searched with negative results. The information is on file for future reference.